Want a Fabulously Productive Summer Garden? Home Newswire Want a Fabulously Productive Summer Garden? Hold on to your hat! Spring and it’s warmer cousin, summer, are just around the corner. Yes, even if you’re looking out the window at piles of crystalline, white snow — believe! One day soon, the days will lengthen and your summer garden will become just as real as those freezing temperatures! 1. 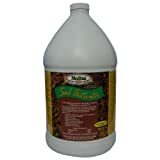 Improve your soil, if it needs it. Marjory Wildcraft of The Grow Network, says that conditioning your soil is one of the first thing any gardener should do. Keep in mind that soil composition can change over time and should be re-evaluated every so often. This article outlines, even more, mistakes a backyard gardener can make on her way to developing a healthy, productive garden. 2. Push your composting into high gear!